Blog / It’s Back-to-School Fun at Gymboree! Whoa! 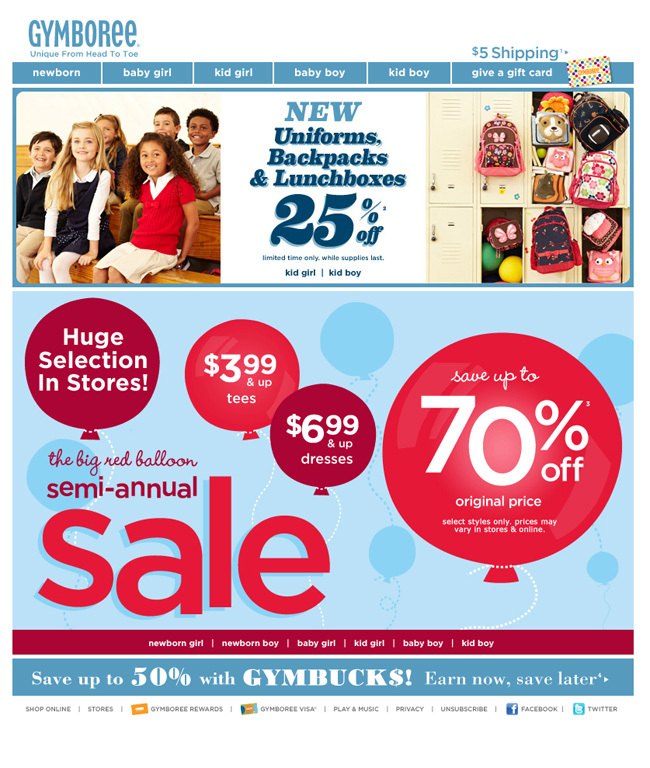 Gymboree definitely captures the “back-to-school” rush! You can almost hear the students walking down the halls, the doors opening, the lockers shutting, and the cellphones closing. This popular, child-based company is unique in the fact that they own both children’s clothing stores and play centers across the globe. Though back-to-school is infamous for making children crave more summertime, Gymboree manages to turn it into a celebration with the fun fonts and the big red party balloons! In this layout, they’ve used a colorful blend of custom photography, illustration, and typography making their extreme discount offers even more enticing for everyone to see. 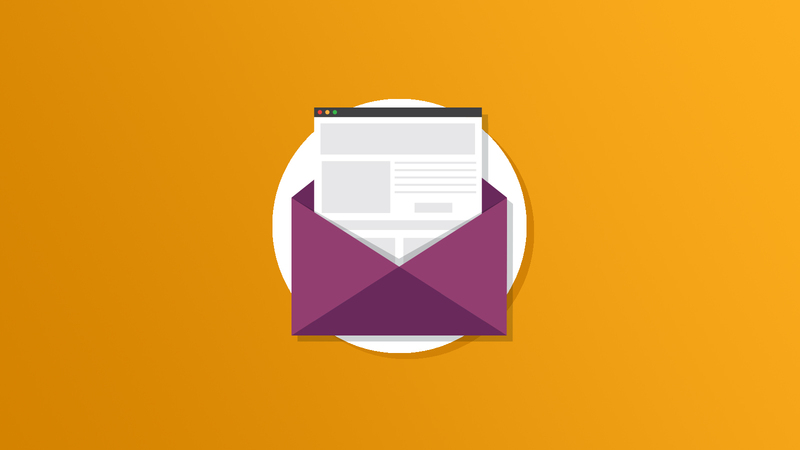 It’s also great that they have a fully-functional, easy to use menu at the top of the email so that you get the full experience of what they have to offer. This is definitely an original design, and one that would be great to bookmark for future inspiration. We all know how much of a hassle back-to-school shopping is, and thanks to Gymboree, it just got a whole lot easier. Kudos to the designer, you earned a big A+ for your work on this campaign! To view this email in full size, check out their web version.